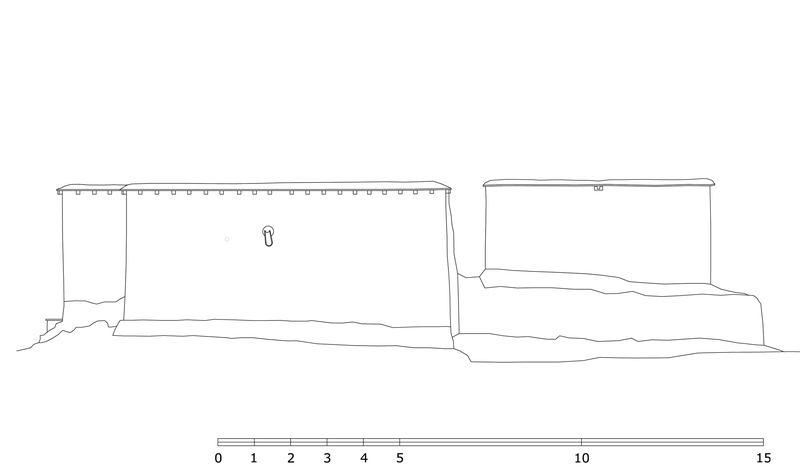 Coordinates of the site: 31°28'59.07" northern latitude and 79°47'50.24" eastern longitude, at an altitude of 3730 meters. 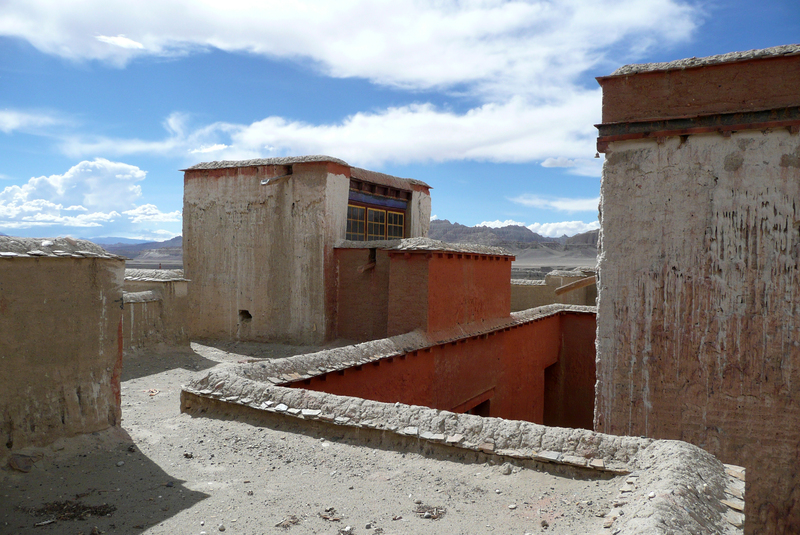 Tholing is located in the Ngari district of the Tibet Autonomous Region, about 120 kilometres (airline) southeast of Nako. 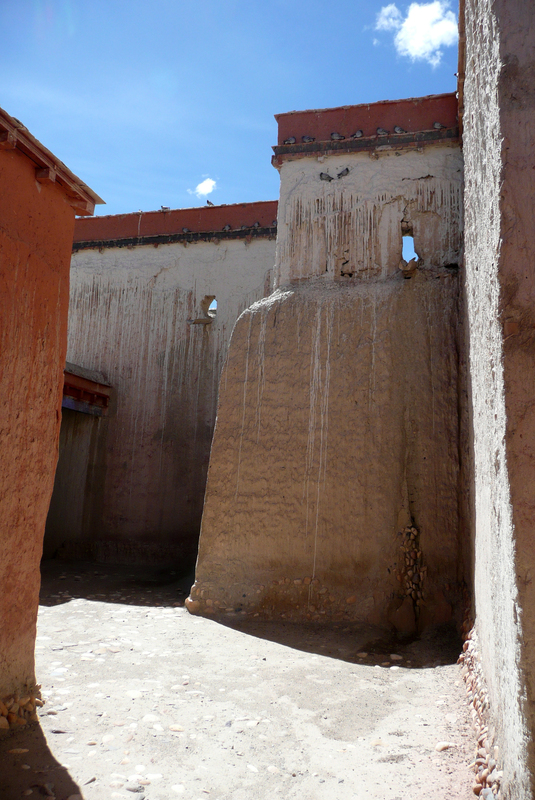 The monastery was founded in the year 996 by Yeshe-Ö, the king of Guge. 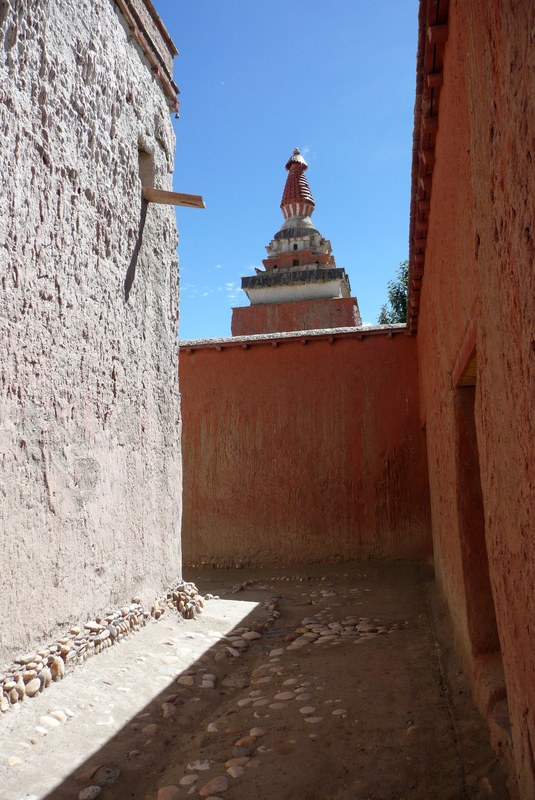 For several centuries the village represented the centre of Tibetan Buddhism in the kingdom of Guge. 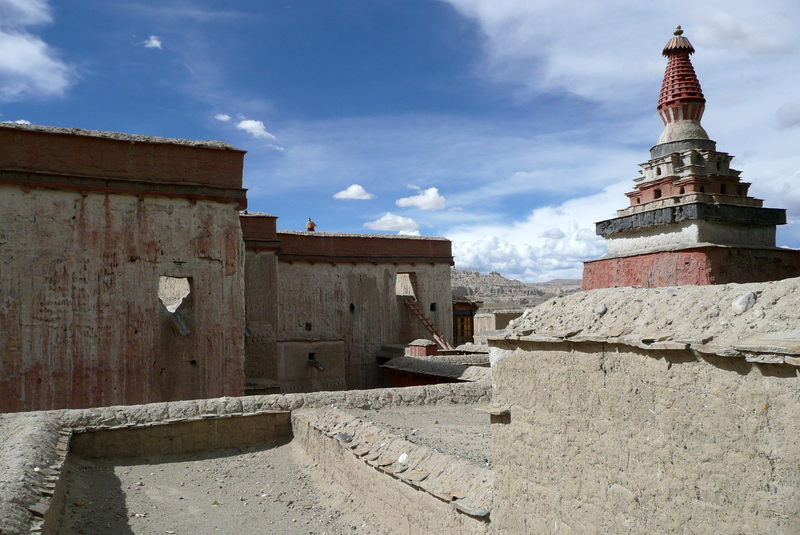 The Tholing monastery remained a thriving religious centre even in the 13th and 14th century, retaining its indigenous artistic tradition even under Central Tibetan influence. 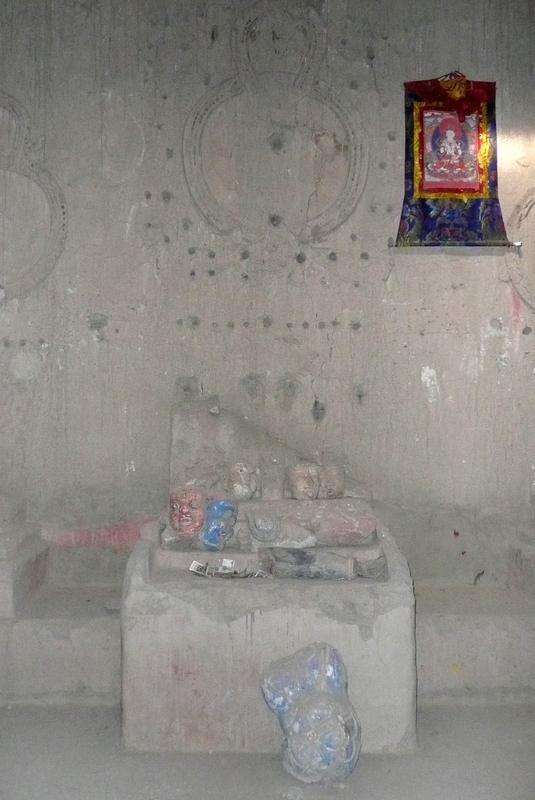 The ruling elite of the later kingdom of Guge (1400–1630) made Tholing a centre of the newly established Gelugpa School and had numerous monuments built at Tholing itself and on the slopes below their castle at Tsaparang. 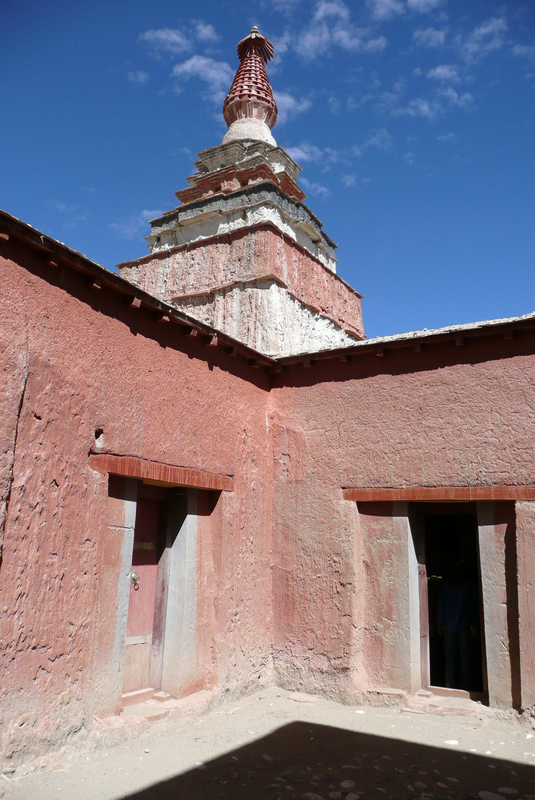 In 1933 the scientific mission led by the Italian tibetologist Giuseppe Tucci entered the ancient monastery of Tholing in West Tibet and, for the first time in almost a millennium, revealed the existence of its temples and towering chörten to the world. 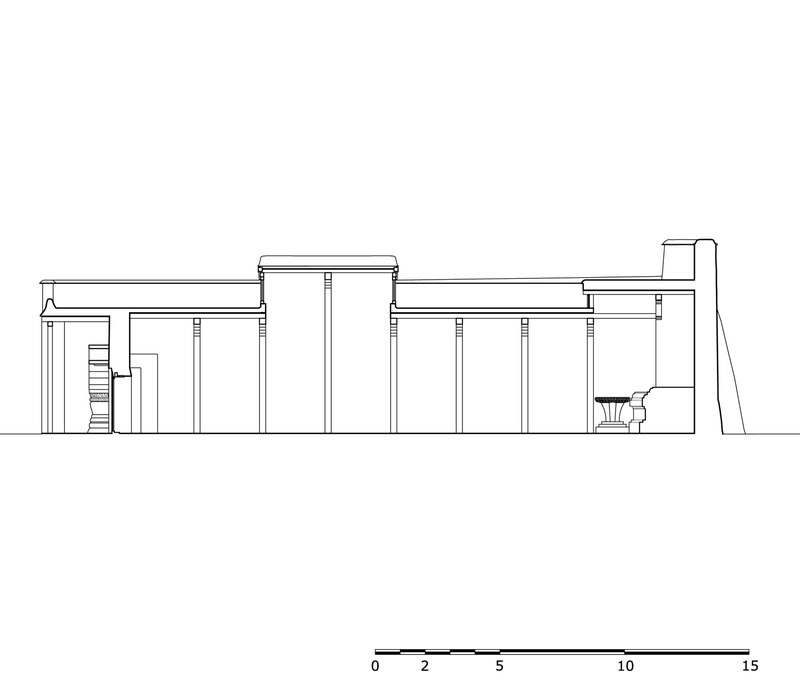 The despoliations perpetrated during the Cultural Revolution (1966 – 1976) ultimately swept away the temples of Tholing from their irreplaceable artistic legacy leaving bare walls behind. 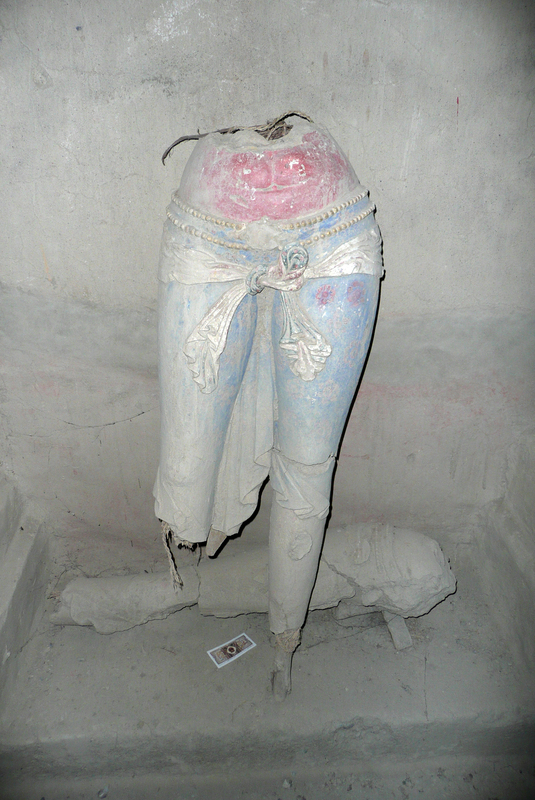 Some temples survived as ruins with most of their sculptures and paintings destroyed. 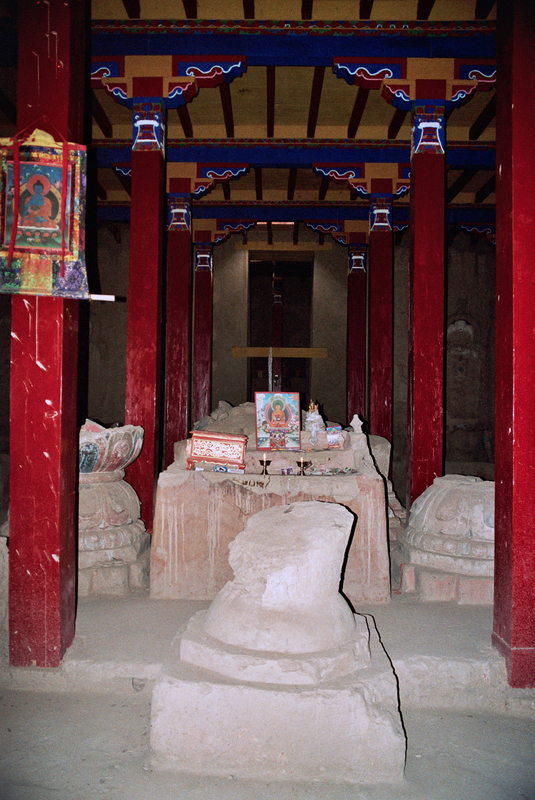 Between 1996 and 1999 a project team sponsored by the Cultural Relics Bureau of the Autonomous Region of Tibet worked on archaeological excavations, repair and rebuilding of the ancient buildings. 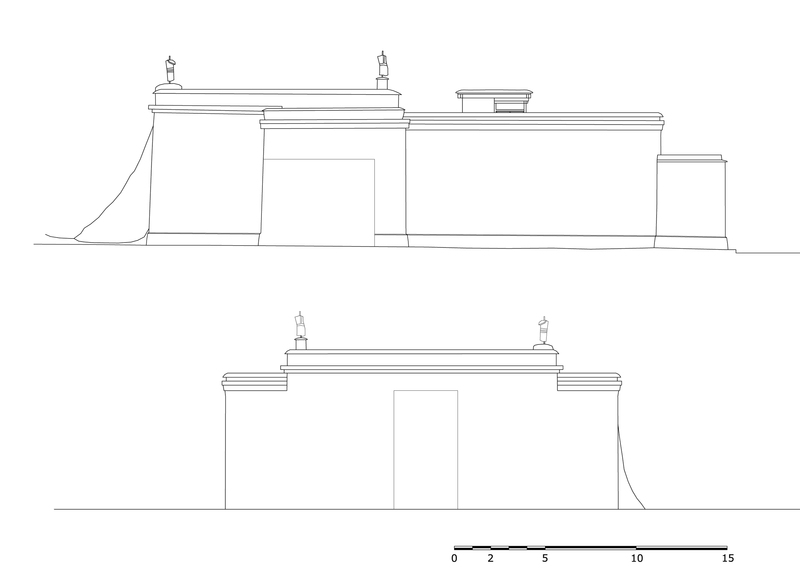 The ruined walls were rebuilt, new pillars were erected and new roofs were laid. 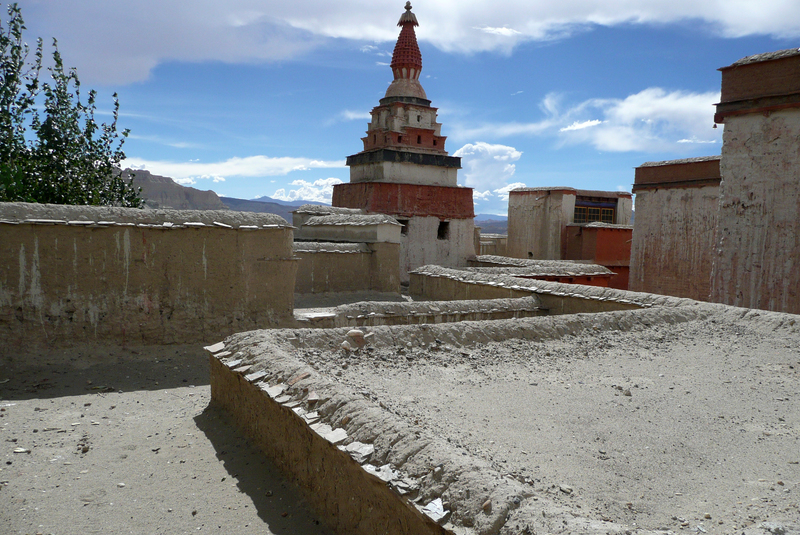 The monastic compound of Tholing is situated on the northern side of the old village, on a plain area in front of the sloping terrain of the Sutlej river valley. 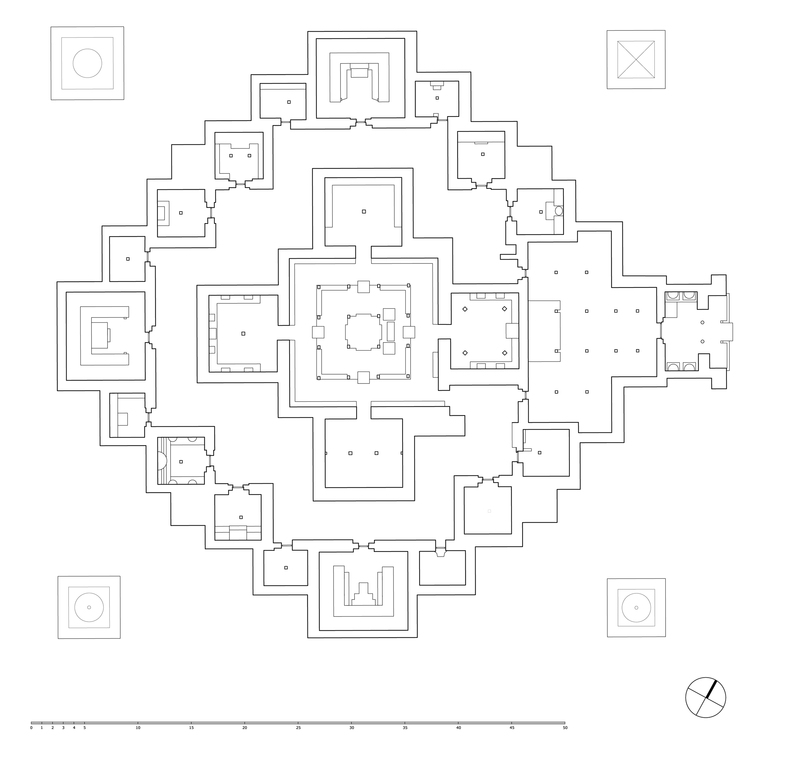 The buildings are orientated mainly along a northeast-southwest axis. 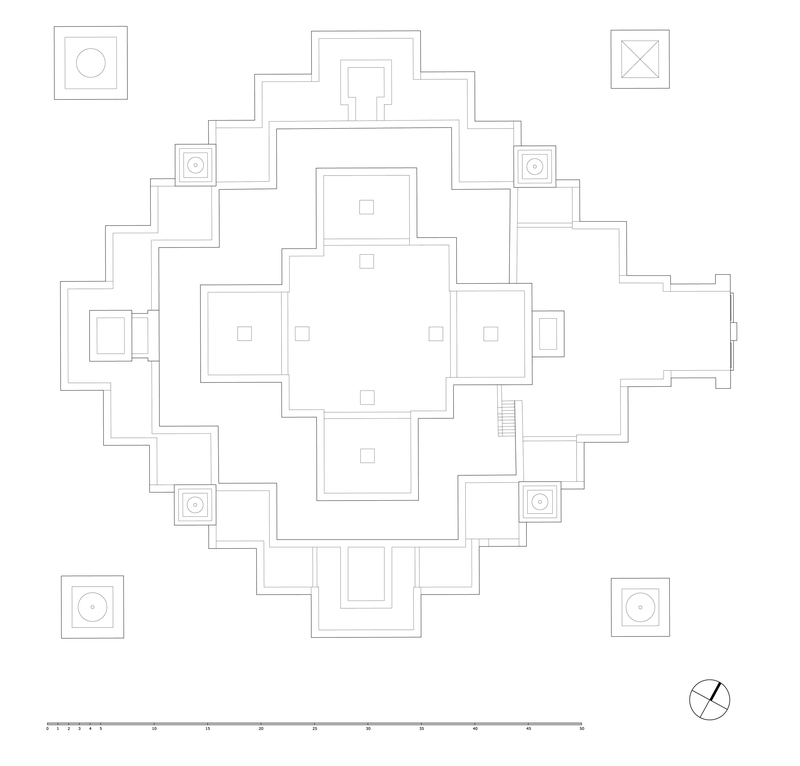 The monumental mandala-shaped Yeshe-Ö Temple or Gyatsa lies on the south-western side of the enclosed area and is the largest building of the complex, it measures 63.3 x 56.8 metres along the main axes. 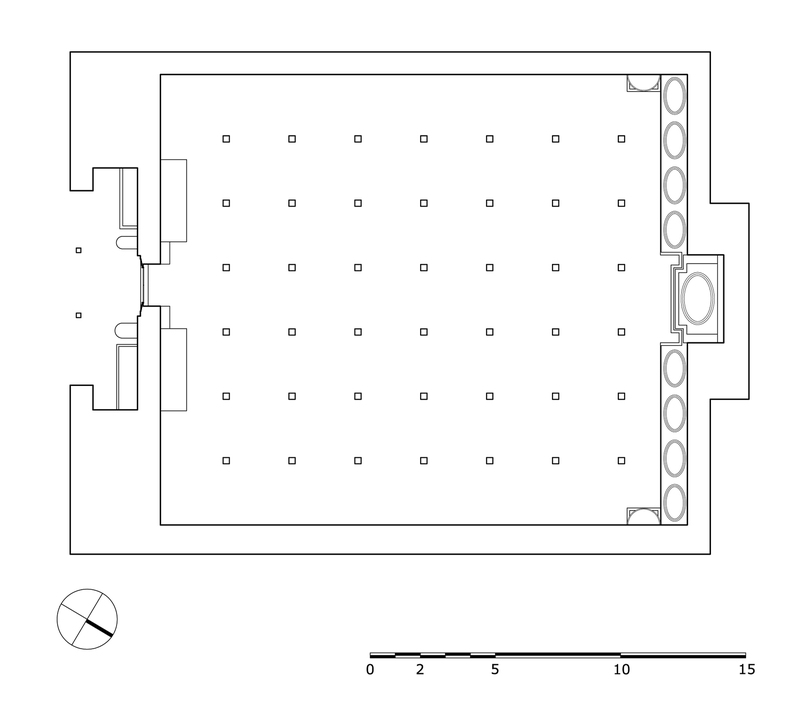 The temple consists of a central, cross-shaped building, surrounded by a ring of 17 chapels (formerly 20 chapels according to Tucci’s description) which can be accessed through an open ambulatory, covering a total floor area of approximately 2115 square metres. 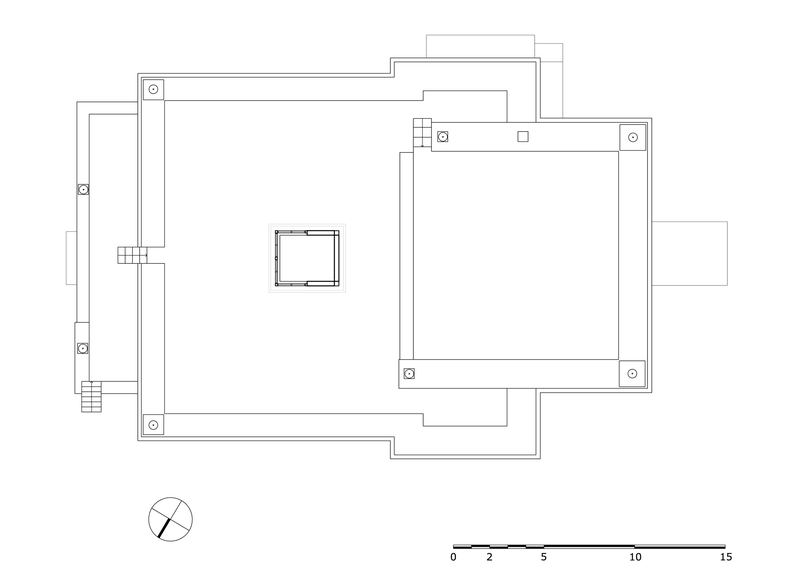 The entrance hall is situated on the north-eastern side. 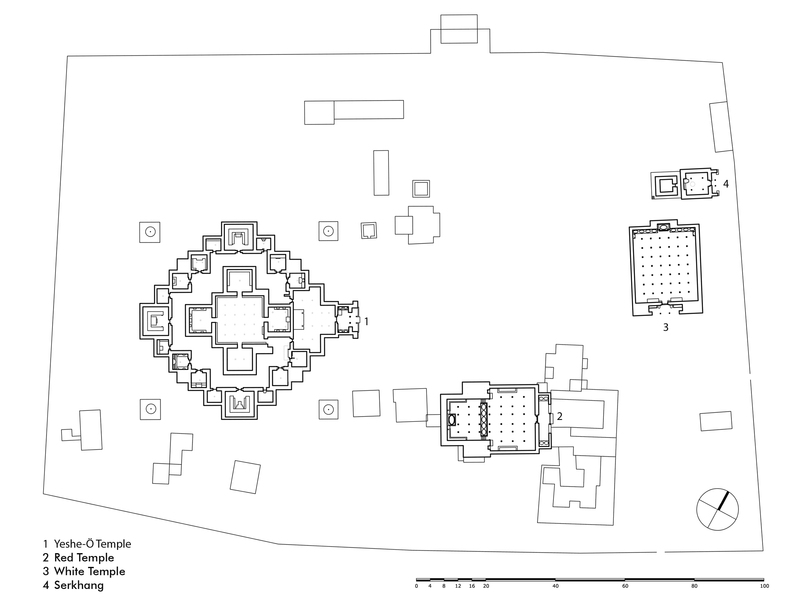 The central building consists of a main room that once placed a four-fold Vairocana sculpture of which only the cross-shaped throne has remained today. 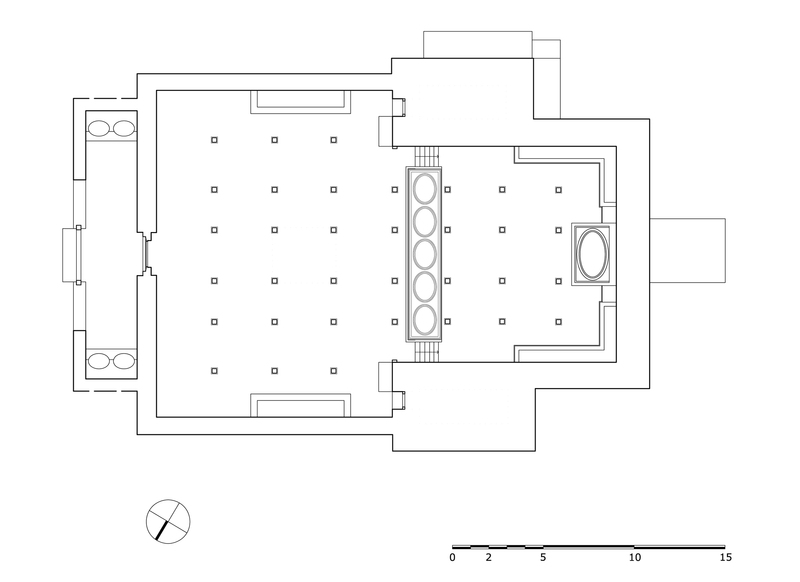 Around the centre four main chapels with free-standing thrones are located in the cardinal directions. 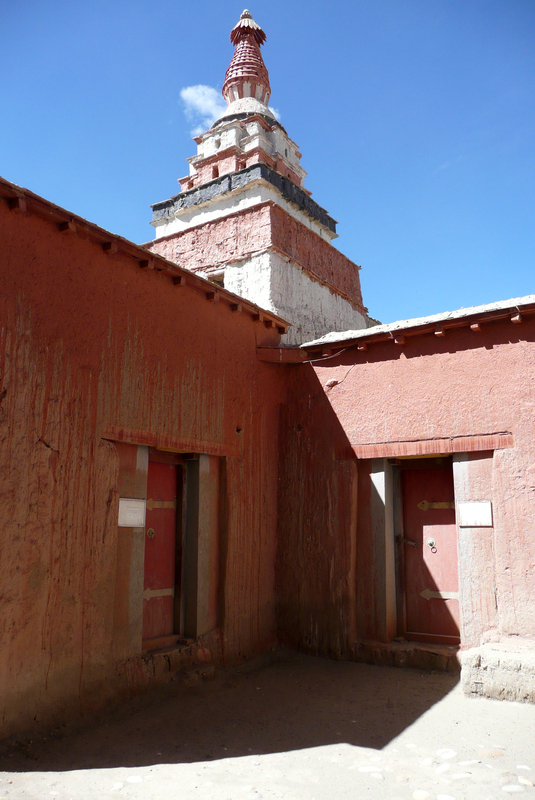 The corners of the Yeshe-Ö Temple are marked by four chörten in the intermediate directions. 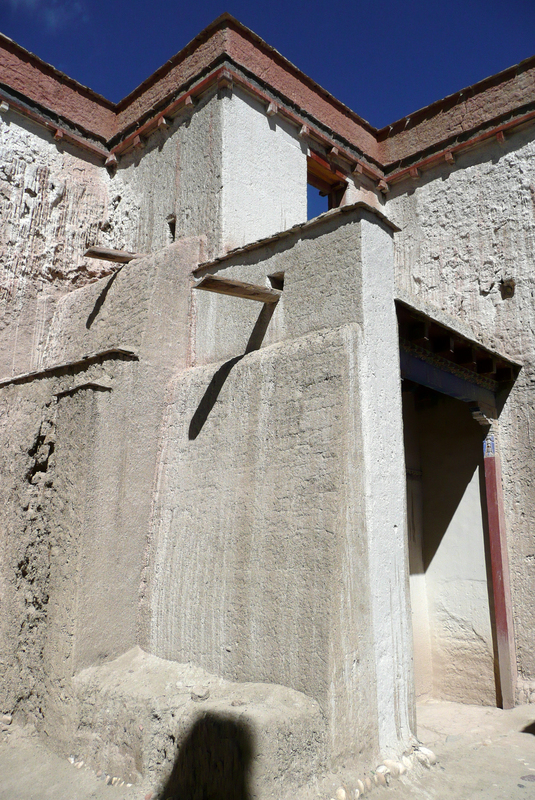 Four larger chörten (called the Inner Quartet) were erected at the ordinal points outside the temple. 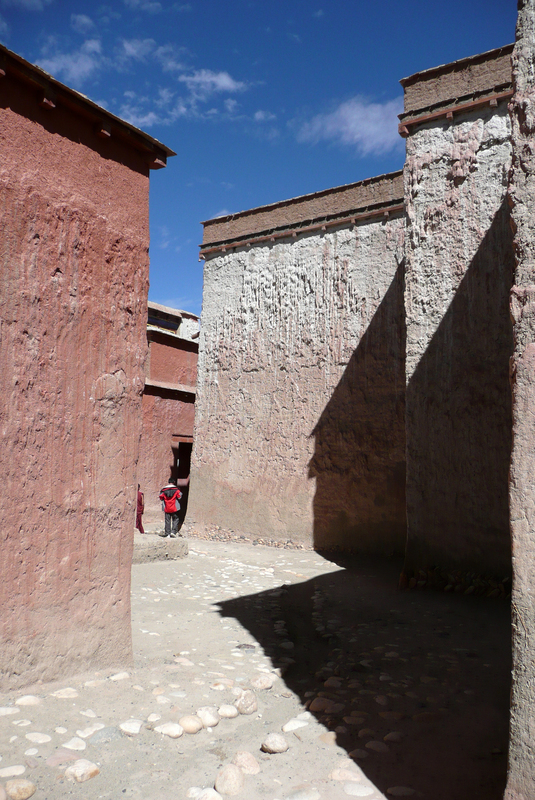 Three more temples are preserved in the complex that lies northeast of the Yeshe-Ö Temple: the Red Temple (Dukhang), the White Temple and the Golden Temple (Serkhang). 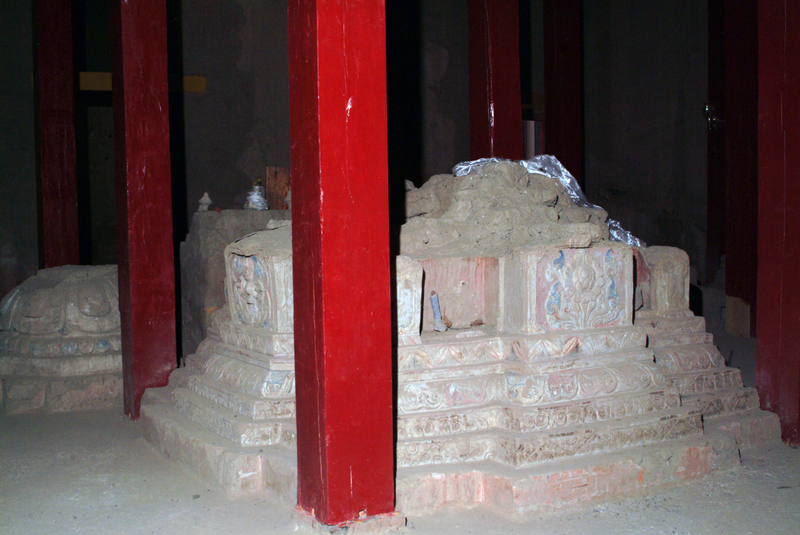 While the Red Temple and the White Temple stylistically correspond to the period of the later kingdom of Guge, the Serkhang obviously goes back to the foundation period. 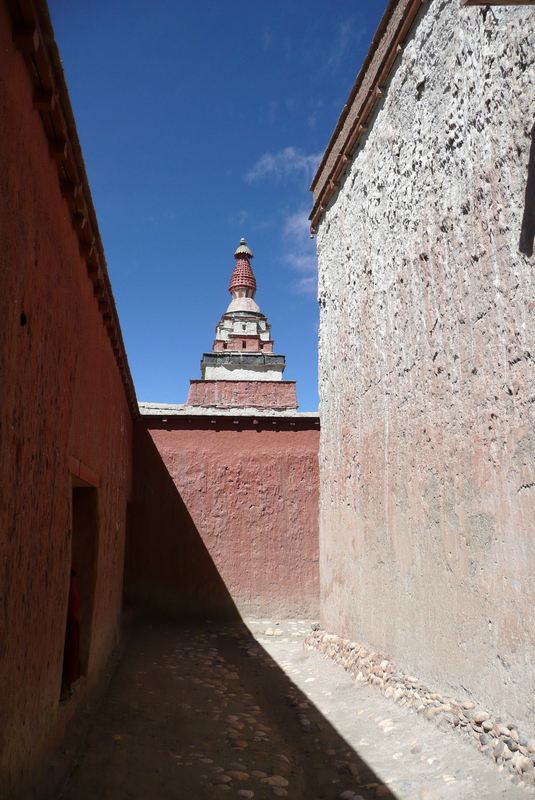 This building was described as the most sacred of the whole monastery, built in three storeys diminishing upwards. 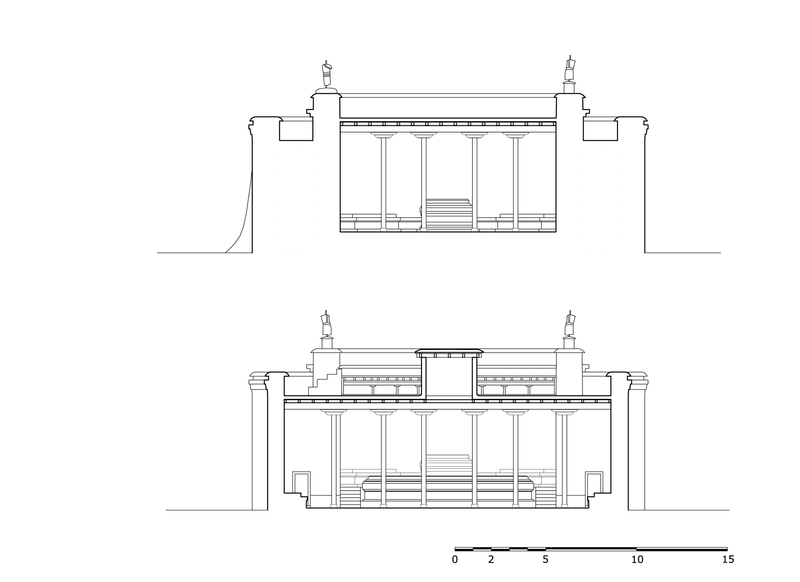 The upper floors were accessed by means of small external stairs leading to narrow porches with pilasters and cornices of sculptured wood (Tucci 1933:169). 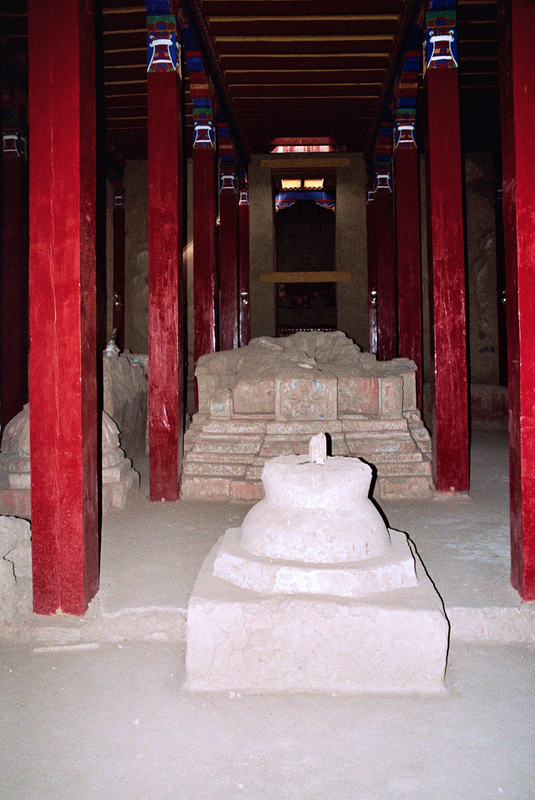 The White Temple lies in the south of the Serkhang. 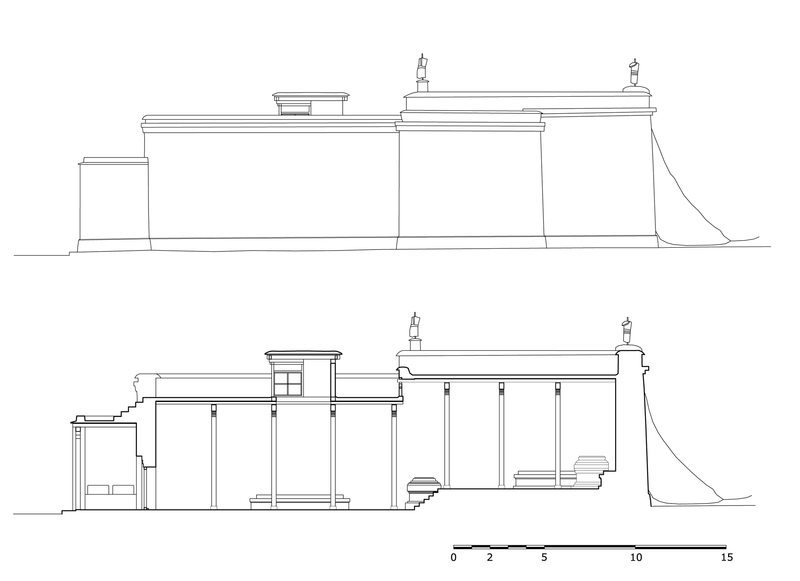 The rectangular building is orientated along the northwest-southeast axis, its entrance with a small portico supported by two pillars is situated on the south-eastern side. 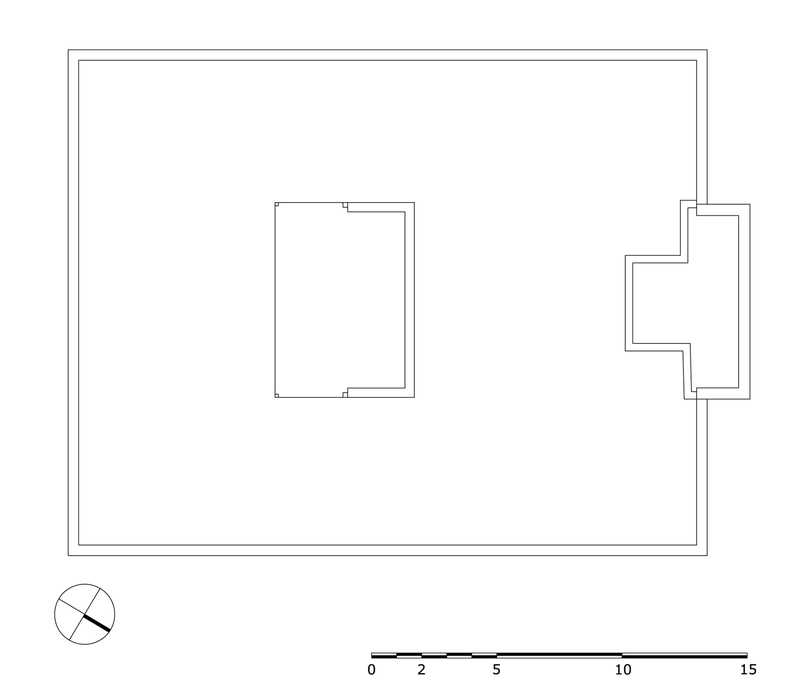 The hall measures 21.0 x 18.0 metres with a small apse (1.45 x 3.50 metres) on the north western side. 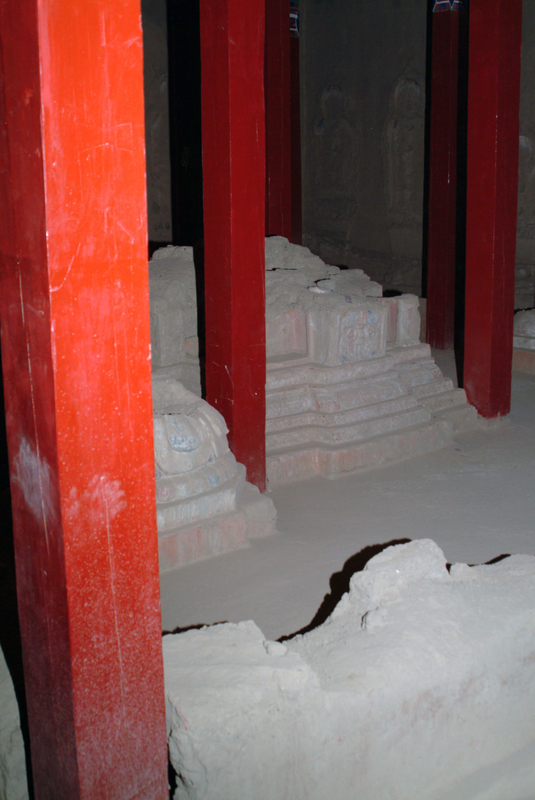 The interior walls are 6.4 metres high, 42 pillars support the ceiling. 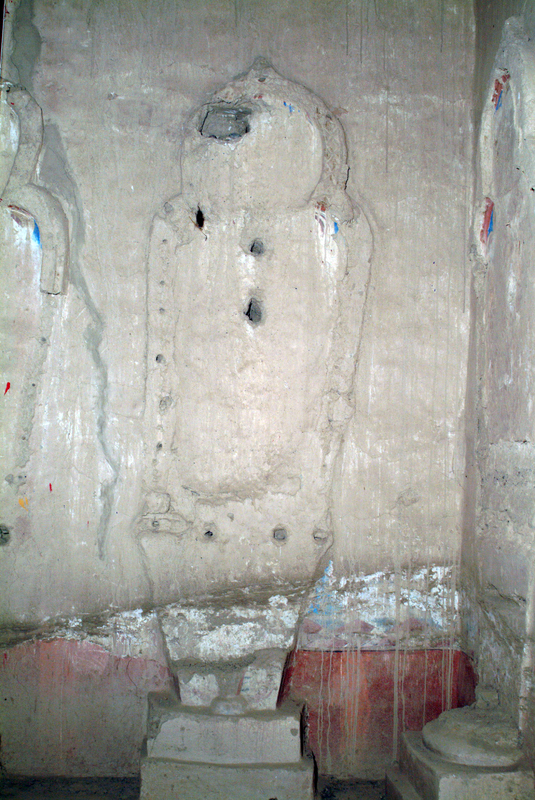 Between 2002 and 2009 a highly qualified restoration took place, so that the wall paintings are well preserved. 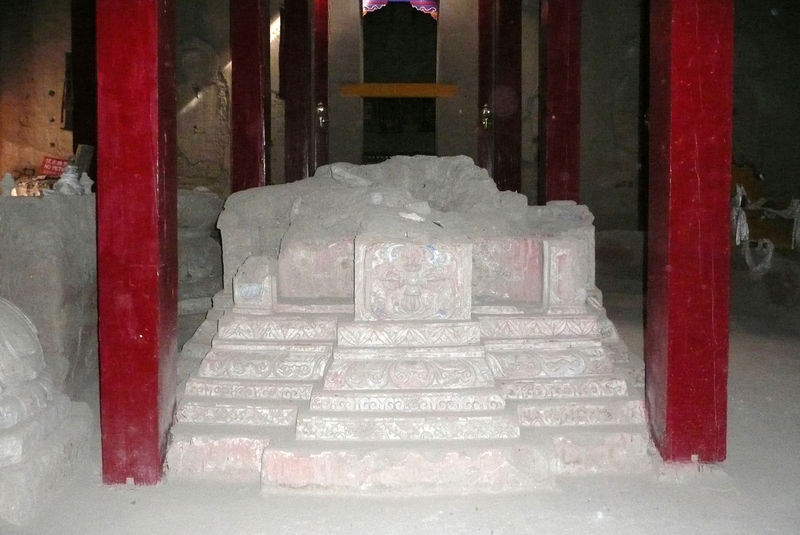 The Red Temple (Dukhang) is situated between the Yeshe-Ö Temple and the White Temple. 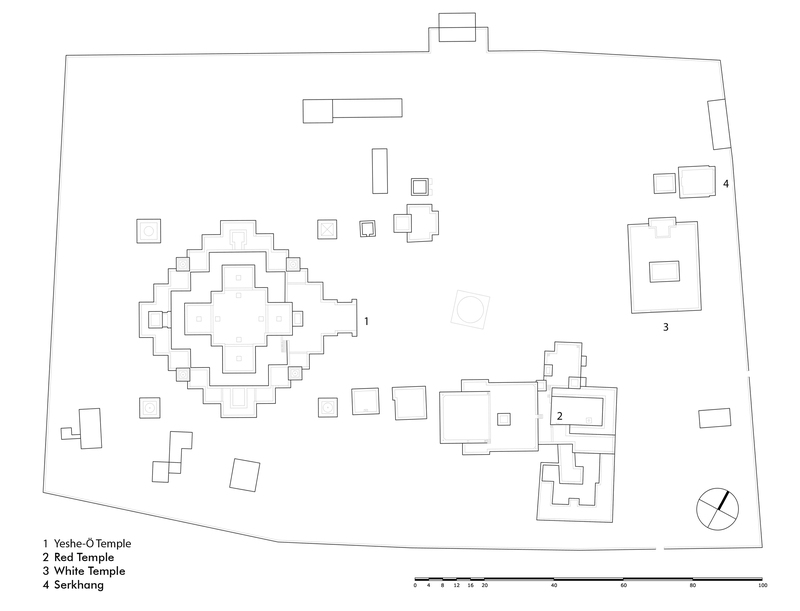 The building is orientated along a northeast-southwest axis with its entrance on the north eastern side, where an open courtyard and later erected structures were attached. 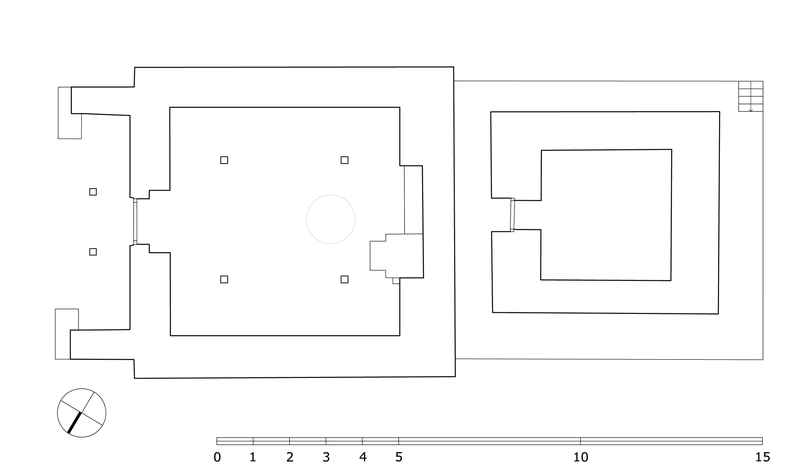 The temple consists of three parts: a narrow entrance hall (2.82 x 14.75 metres with a height of 4.54 metres), an 18-pillared front hall (12.99 x 17.98 metres with a height of 5.94 metres) and a 16-pillared apse (12.32 x 11.87 metres with a height of 6.03 metres). 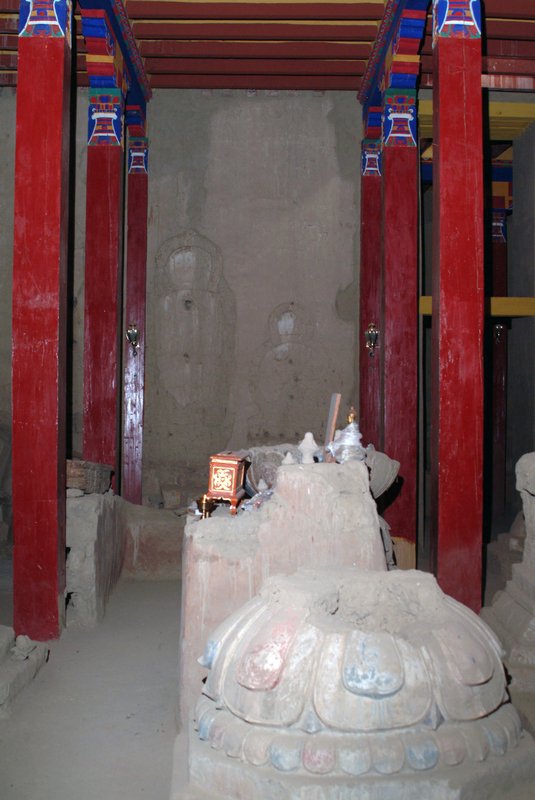 All walls of the Red Temple and all ceilings are covered with mural paintings, some of them derive from later renovations. Cf. Van Ham, Peter.2016. 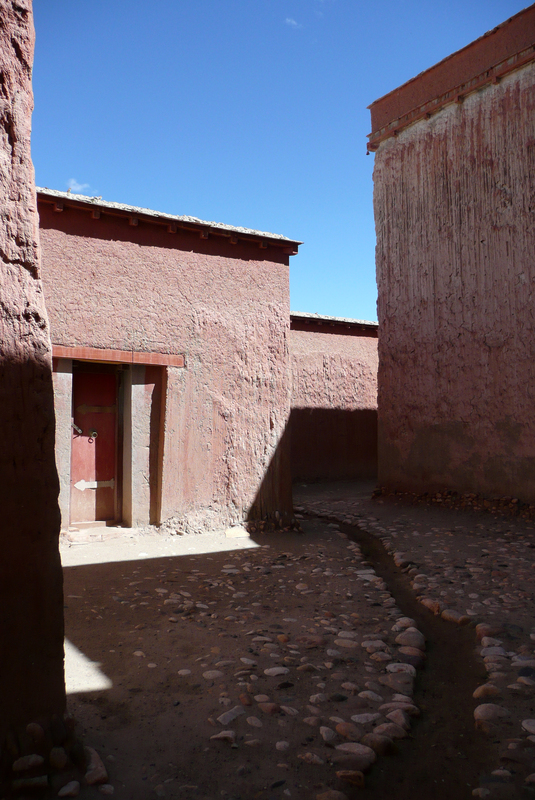 Guge – Ages of Gold. 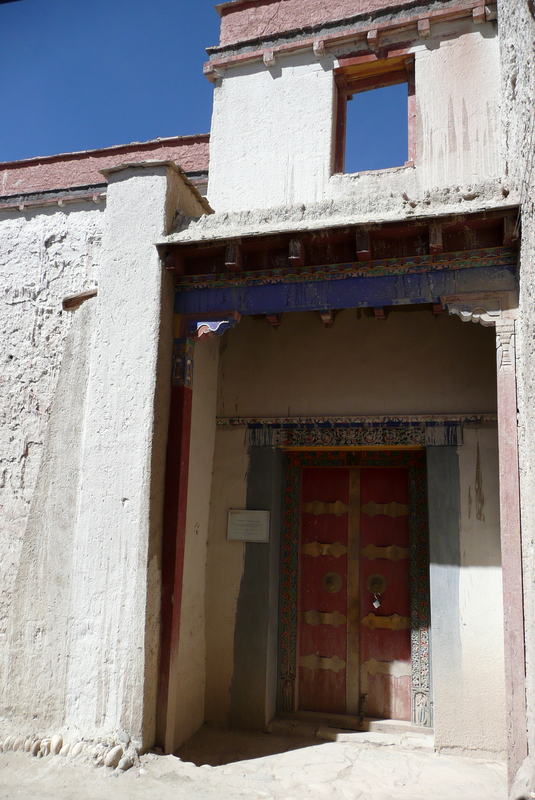 The West-Tibetan Masterpieces. Munich: Hirmer Verlag, pp. 210-290. Cf. Luczanits, Christian. 2004. 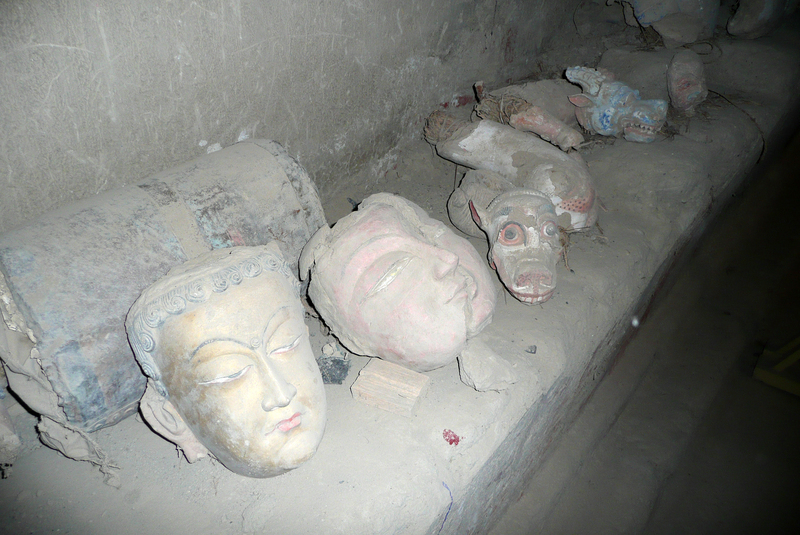 Buddhist Sculpture in Clay: Early Western Himalayan Art, late 10th to early 13th centuries. Chicago: Serindia Publications, pp. 30-32. Cf. Tucci, Guiseppe and Ghersi, Eugenio. 1996 (1933). 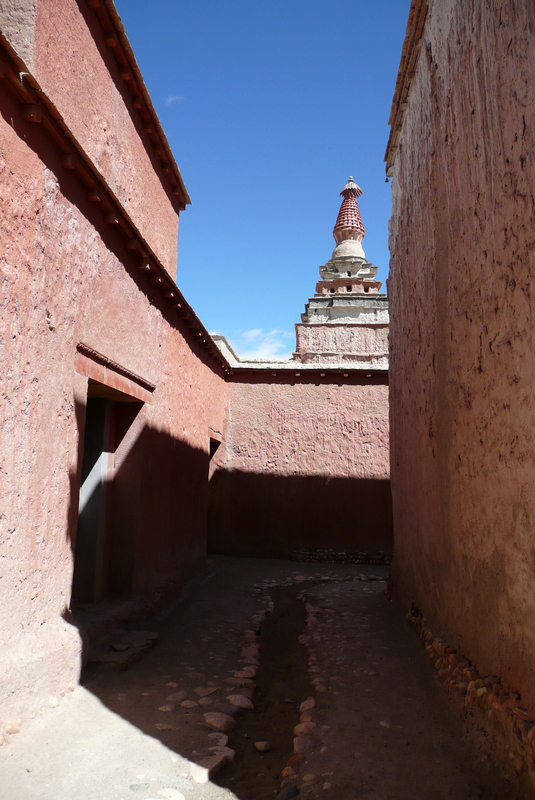 Secrets of Tibet: Being the Chronicle of the Tucci Scientific Expedition to Western Tibet. New Delhi: Cosmo Publications, pp. 162-170.